We are very proud to announce that Fluxion's new 12” will be released on Echocord + an upcoming full-lenght album later. 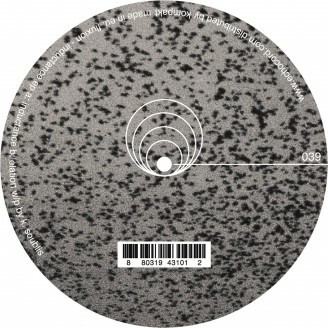 Greek artist Fluxion (aka Konstantinos Soublis) first presented his style of dub-influenced techno through a series of 12”s and albums on the Berlin label Chain Reaction, starting with Lark / Atlos in 1998. He then released a handful of 12”, which ended up in the two Vibrant Forms releases. In 1999 he created the Vibrant Music label. Fluxion's first 12” release on Echocord titled “Inductance”, is what the title implies. It is an escalating reaction between sound and flowing particles, a dance infusion. Two deep dub club tracks that with a strong movement feel, and sublime atmosphere, characteristic of his productions. “Inductance”, always changing, with a strong dubby platform and elements moving and shifting on top, living the listener wanting more, despite the 8 and so minutes. A deep listening track straight for the dancefloor. “Elation” is a more atmospheric track creating strong emotions, in a more suttle way. A climax of sounds and harmonics that carries the listener, to a higher emotional state. The rythmical dub base alongsibe repetitive melodic parts complete the picture of a unique listening.